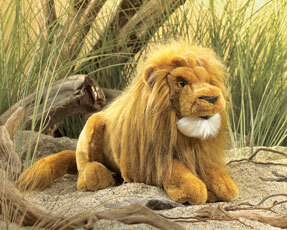 Folkmanis 2889 – The King of the Jungle, His Mighty Majesty, is a fluffy, lovable fuzzball with a big roar. Hand puppet with movable mouth. Measures 16" x 8" x 10".